I was a recent speaker and exhibitor at the Conscious Life Expo in Los Angeles which is attended by thousands of visitors annually searching for answers on such topics as health, the cosmos, spirituality, consciousness, and the strange and unexplainable. There are times when I am aghast at some of the claims I hear made by well-meaning health professionals along with those just wanting to make a fast buck. There was even an exhibitor giving away free toxic blue cotton candy (spun right on-site) to attract buyers to their health scan booth—like some dentist doling out candy in his waiting room. And, believe it or not, the people were eating up that free blue sugar like it was manna from heaven. A little common sense usually tells us who to take seriously and who to avoid when it comes to our health, but sometimes we can be hoodwinked because we want to believe. Keep on walking if they tell you they can CURE you or make healing promises. No doctor or energy practitioner can promise that a pill, supplement, surgery, quantum energy device, and/or any other medical treatment can cure you. To do so is irresponsible. They might give you possible success rates based on helping others with similar problems, but nothing works all the time for everyone. If that were the case, people would not be searching for alternatives. REMEMBER: ONLY YOU CAN CURE YOURSELF. Healing comes from within, not without. 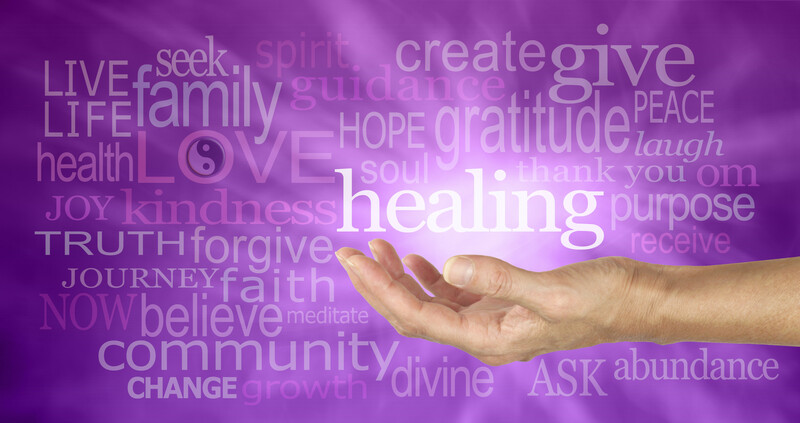 Healing oneself is part of our soul’s journey and happens only when a person is truly open and ready for change. Avoid those self-promoting what great healers they are. Ego trips are a sign of lack of true spiritual growth. Know the difference between someone saying their job is to help facilitate healing energy coming through them vs. someone claiming to have the power to actually heal you themselves. Avoid those who tell you that you have to act now or sign up for something before it’s too late. Pressure of any sort is a sign of a someone who doesn’t respect your right to reflect and decide. Deep down only you know what’s best for you, not them. Avoid those who tell you that you will need a lifetime of treatment, mostly expensive, from them. Avoid those who try to convince you that after working on you that you feel better, or your pain is less, when you don’t feel any different. While there is something to be said for the power of suggestion, if they are not listening to your feedback then they are not helping you. Avoid those who offer free trials to zap all your bacteria, pathogens, viruses, etc. by using your photograph placed in trays along with other people’s photos. While long-distance remote energy treatments are definitely viable, like prayer, no one-size fits all treatment should be done on multiple participants simultaneously. In fact, it’s downright dangerous. Bleed through can happen in the energetic field from one person to another. I’ve conducted my own experiments in this area, and know from first hand experience that energetic fields can overlap. I’ve seen incidents where the person suddenly started taking on mysterious symptoms from the person whose photo was either placed above or beneath theirs—even though they had no knowledge of who the other person was. This has led to taking on someone else’s emotional and physical symptoms—even sexual addictions and inclinations. Only one person at a time should be sent long distance energy and never use some generic detox protocol that could make them feel worse. Avoid those who prescribe countless pharmaceuticals, nutraceuticals, and/or vaccines as being totally necessary, despite the warning side effects. They should be encouraging exercise, proper nutrition, health education, and/or lifestyle changes to make a true difference. Take responsibility for your own life and always remember to allow for healing. Don’t hand over the control reins to someone else or you may be driven down a path that is not in your best interests. Above all else, follow the guidance from your Higher Self and be discerning. Wisdom to know what to do is sure to follow. BRAVO!!! MY SENTIMENTS ALSO!! I try to tell everyone the same things. Being honest up front about this fact, I cannot promise anything. Even if healing sent out by any means, for many reasons they may not accept the energies, and no healing will work with people who suffer from “stinkin’ thinkin”!!! One has to be in resonance to the energies being sent out. I ask all T8 remote clients to please hold not only Intent everyday for the energies being sent but also attitudes of gratitude for the energies being sent to them. So far if they do that I have more of rate of success toward the goal. So true about a nearby photo. I had sent my own photo the Peaceful Sleep protocol and my cousin’s photo was set off to the side. She wrote me the next day that for some reason she had the best nights sleep she had ever had!! Ha Ha. I just finished a coarse called impact training. I firmly believe if you stay out of your ego mind and come from the heart.and believe in the one universal word unconditional love it is pretty hard to go wrong. Be honest and truthful, treat every one with love and respect. When I work on someone with the intent that they be healed, I do two things. First, I scan their body to see if there’s any obvious spots that need energy. Then, I just draw down energy and direct it into those spots (or just into the body in general), with the intent that their body use that energy in a way that is most beneficial to them. They and their body decide what to do with the energy, not me. I just direct the energy, that’s all my job is. That’s it. Very simple.